There are currently 35,091 users on this website. Hello! I'm new to this forum and only recently developed an interest in coins. The subject is vast. I'm wondering about a particular penny. 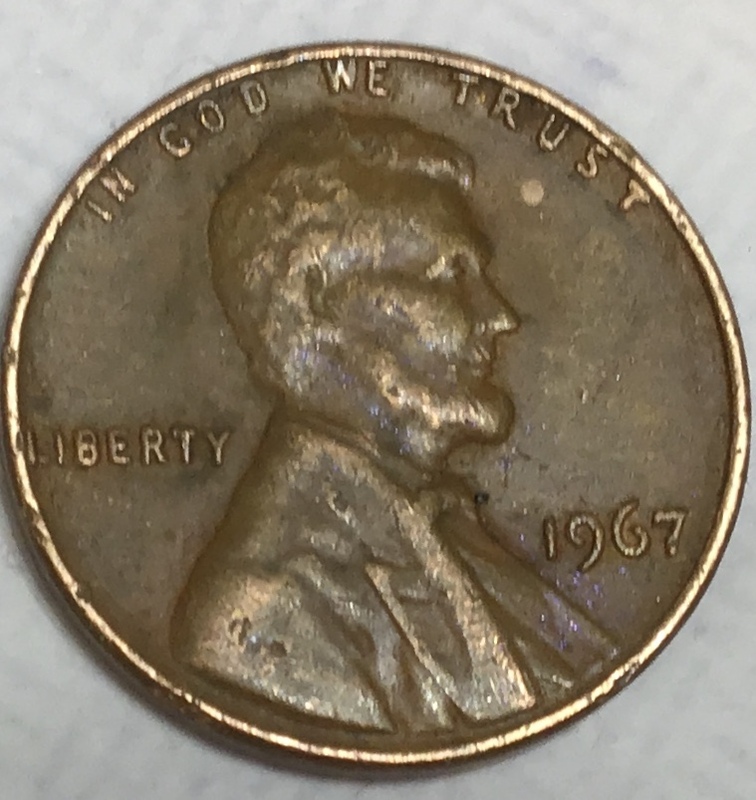 1967 Lincoln, no mint mark. The Memorial has a lopsided roof. I hope it can be seen in the photos. I am not a great photographer. Also the mint mark is not there because it was minted in Philadelphia. It's called damage. It's a spender. It looks like the coin spent some time on the street. Usually, but no mintmarks were used from 1965 to 67. My understanding is that it could be from any mint. It's lopsided because the coin took a lot of abuse in it's life time . 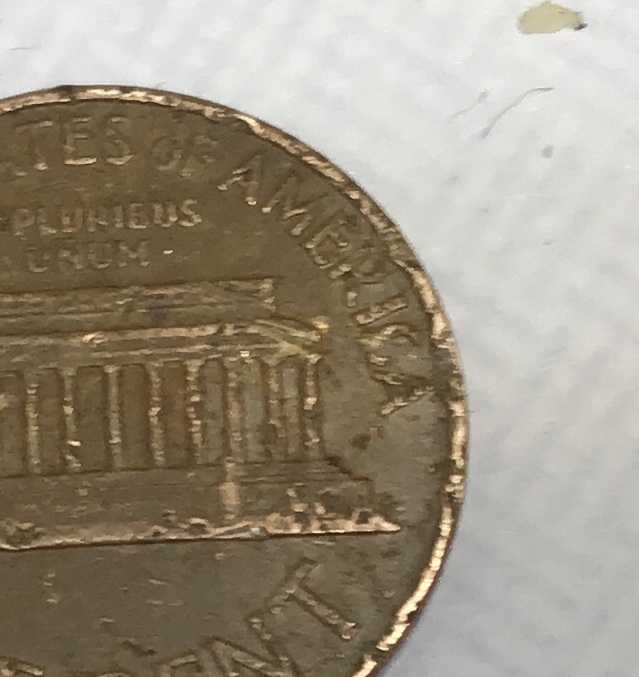 Actually the mint marks aren't on any of the coins from 1965-1967. They all were not minted in Philadelphia. 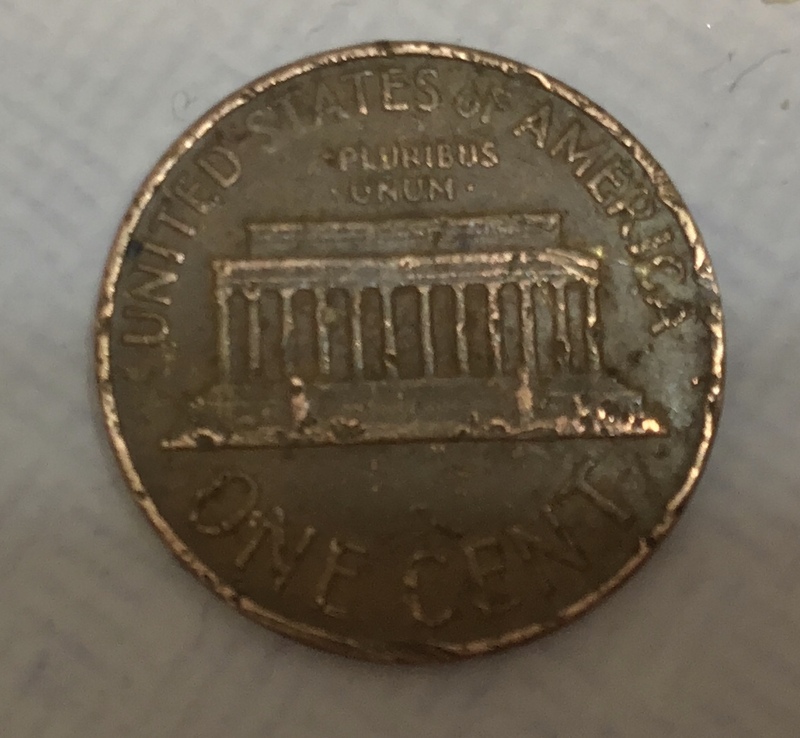 There were minted in all 4 mints, There are mintage numbers from all three mints, but the Philly cents and West point coinage is combined. Oh huh...never knew that. Sorry for my error. The things you leaned eh? Zero. The U.S. Mint only strikes cents, no Pennies. Only non collectors call them pennies. Highlight the space above between these lines for the answer. West Point wasn't striking coins in 1965 - 67 they didn't start producing coins (without mintmarks) until 1975. 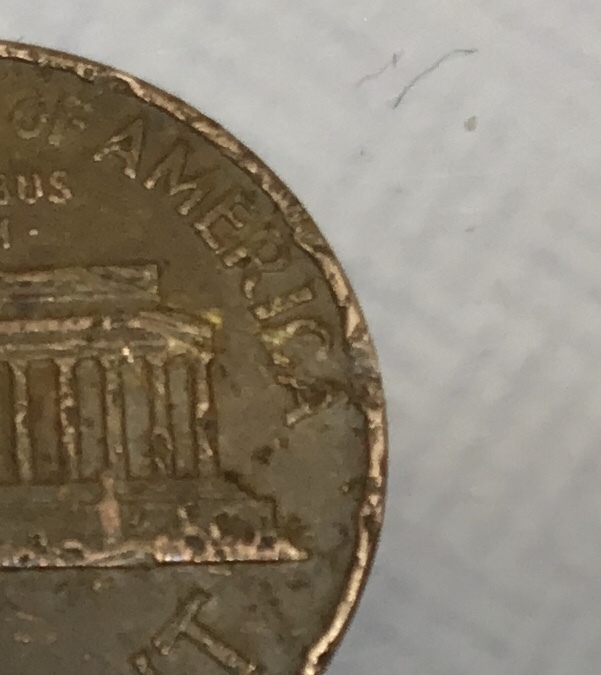 It didn't receive permission to produce coins until 1973 (Same legislation that authorized the Bicentennial coins), presses were installed in mid to late 1974, and production of 1975 dated cents began in Nov 1974.